Decorate your Fluval EDGE Aquarium with this attractive Bamboo Wall aquarium ornament. 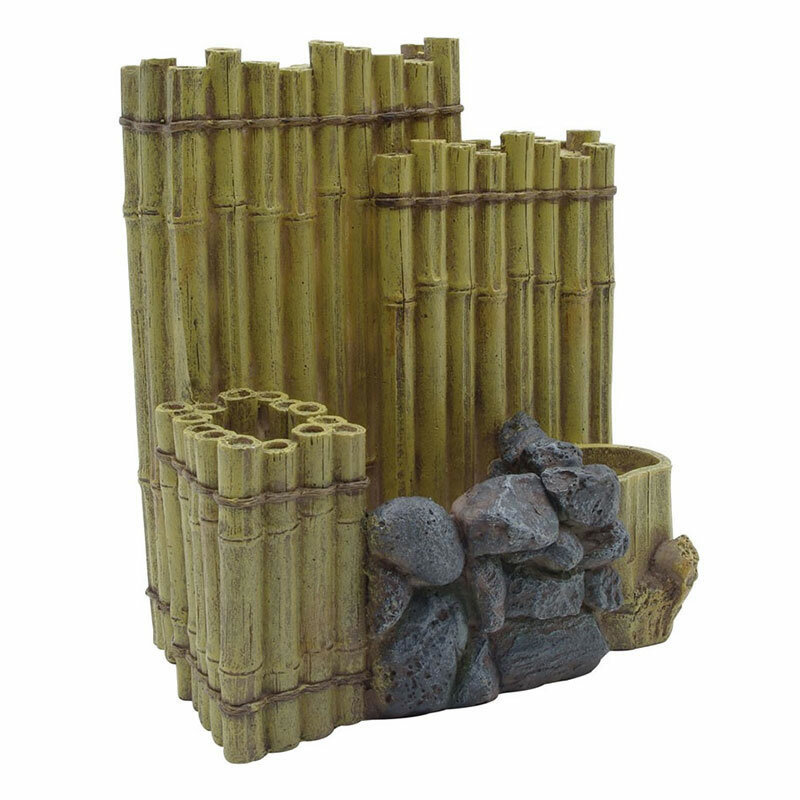 Made of durable resin, this exotic-looking decorative item blends in nicely in a variety of aquarium set-ups. The ornament includes three plant baskets with holes at the bottom that allow roots to grow through. It also has a cut-out that accommodates the inlet pipe of the aquarium's filter, so that you can place the item directly against the back wall.